Hello Alex and welcome to the forum.I 'm not famliar with this area, but from the map it's delta / river / swamp / shallow sea intrusion etc. Your first photo appears to have fishy bits in it (bone, teeth etc). 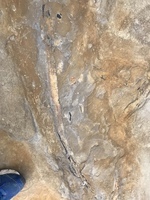 The other photos don't look as if they have fossils to me, but I may be wrong. Hello Alex and welcome tot the forum. I am not familiar wth this area, but from the maps it's early Cretaceous 130 myo) swamp / delta / shallow sea intrusion. 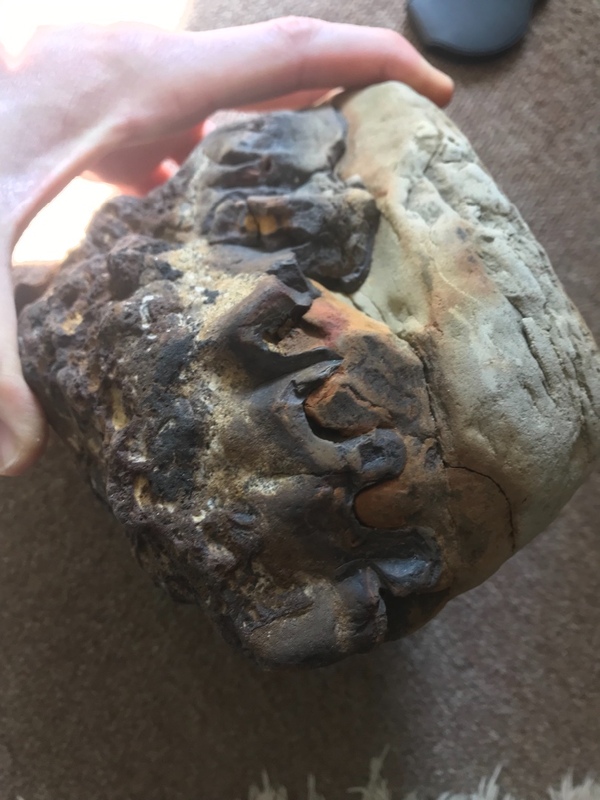 In your first photo I think I can see a small (fish) tooth and some bone (fish), but can't see anything on the other pictures. The first picture shows plant fragments which are very common in some of the beds. 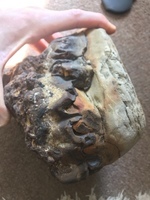 The second piece is a sandstone block which looks of a type which sometimes contains vertebrate remains, I cant see anything definite in your block though. The third is an iron rich concretion, again very common here. All your finds probably come from the Wadhurst clay beds high in the cliffs. As Rolo says, that curving structure by your foot in the first photo is carbonised plant matter, which is locally common, often in surprisingly large chunks. 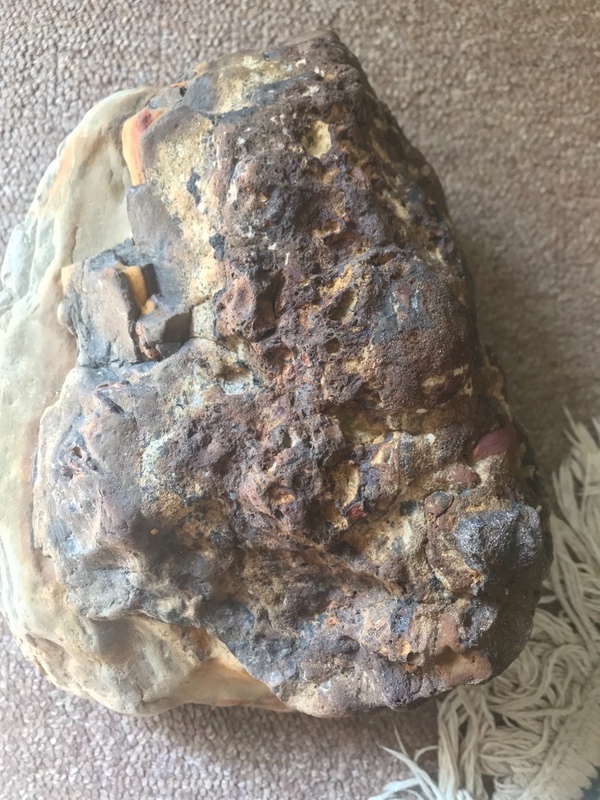 It's arguably 'fusain', or fossilised charcoal, rather than lignite, or any of the other transitional states in the journey from wood to coal. 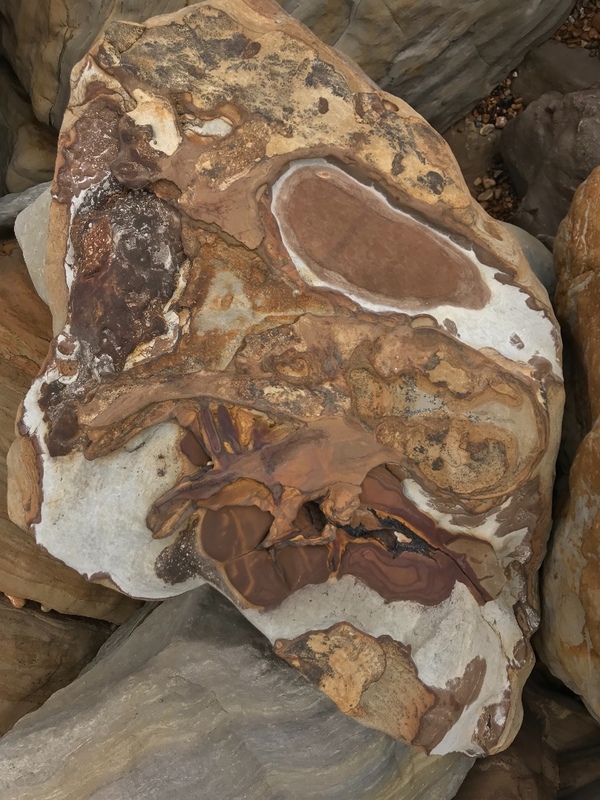 As for the other photos, I'm afraid they're just typical of the iron-rich mudstones, siltstones, sandstones and concretions that make up the Ashdown Formation. Fairlight/Pett Level can be very frustrating at times - no end of rocks that look like they really should be fossils but aren't! Stuart - link shows 'Sold Out'!!!!!!! 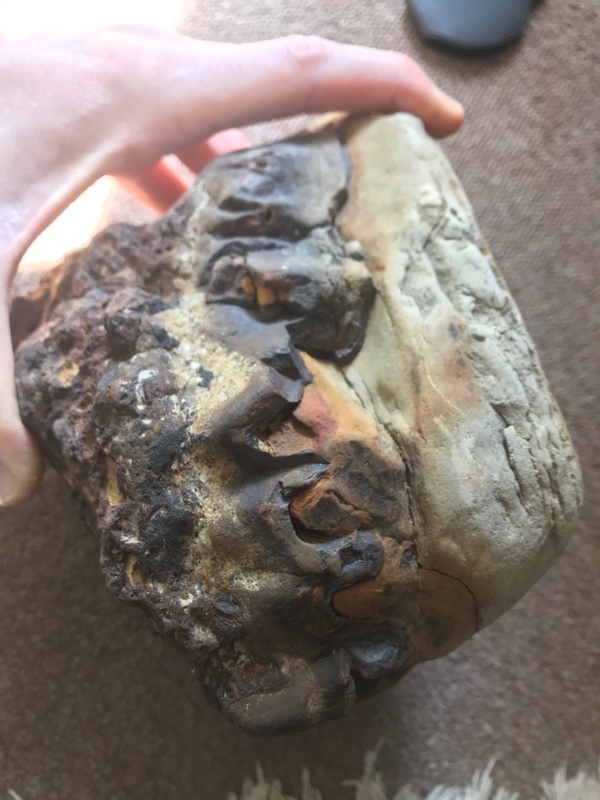 Both the Wadhurst clay and Ashdown beds are fossiliferous Alex. I think you may have mis-interpreted my post as stating that all finds here come from the Wadhurst clay only, that's not the case.